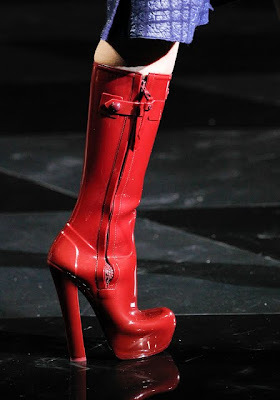 As usual, my fascination over boots has taken a hold on me. Another of my favorite pair of boots bid me goodbye yesterday which really wanted to make me cry. Its a pair of gray boots (random brand) that I bought when I went to the U.S. last year and I feel so disheartened that I cannot wear them anymore. As of the moment, I have to keep my retail therapy in check so I ended up "Thrift Shop Hunting" last night over at my favorite ukay-ukay haunts to pass the time (and hurt.. lol!). Do you know that there are a lot of boots being sold at these shops? Some are really super affordable. I don't go panic buying though coz one has to be really careful when buying boots from thrifted shops coz they tend to look deceiving. Usually they don't last long and fall apart really soon coz those boots haven't been used for a long time already. I will share about my boot hunting escapades in another time but in the meanwhile, I just want to show some boots that I found online while "boot hunting." 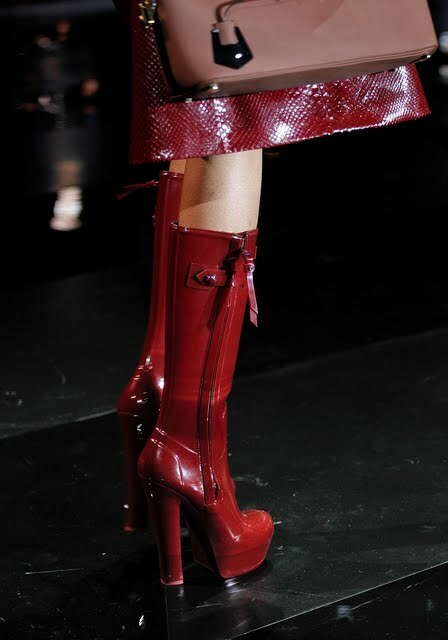 I stumbled upon the Louis Vuitton Fall 2011 Collection and went completely bonkers over the LV Rubber Boots. Yes my dears, its LATEX fierce looking rubber boots! Perfect for this rainy season. Check it out! I also like the coat here! Killer heels I wonder how many inches these are.. I'd definitely wear these boots if I could get my hands on them! 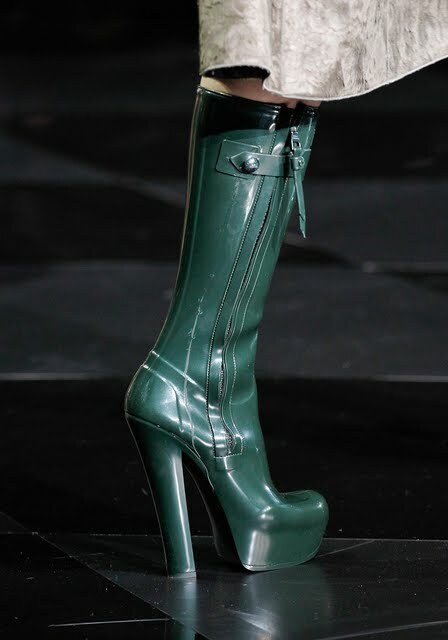 I don't know if we have locally made fashionable rubber boots like these though I do know that the Jessica brand at SM does have stylish rubber boots. But not as high as these. So coffeeholics, how was your week so far? Do you wear rubber boots? If you do stumble on a good pair of fashionable rubber boots do let me know!